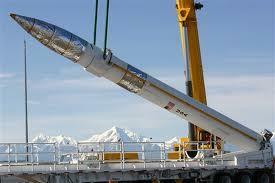 The Missile Defense Agency will be placing 14 more interceptors like this at the Fort Greely missile base by 2017. The will bring the total number of interceptors at the base to 40. Belt-tightening fever in Washington has been putting a lot of pressure on the Pentagon budget over the past couple of years. But Matt Felling, a spokesman for Senator Lisa Murkowski, says the bipartisan deals lawmakers cut last week favor a buildup at Fort Greely’s missile-defense base. 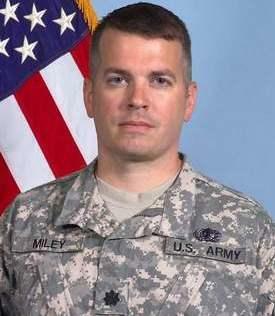 “Greely will benefit, and that will be good for our ground-based missile support up in Alaska,” Felling said. But, those benefits depend on the Senate approving missile-defense funding in two measures. Those are the federal-budget bill passed by the House on Friday. The other is the Defense authorization measure, which sets Pentagon spending policy. That measure calls for construction of an 80-million-dollar mechanical engineering building at Greely’s missile field 1. That’s one of three missile fields at the base, and it’s been shut down for more than four years because of water damage in its underground corridors. Missile Defense Agency spokesman Richard Lehner (“LEN-ner”) says that damage was cleaned over the summer and fall in preparation for upgrades at missile field 1 that’ll take place over the next three years. When that’s done, six interceptor missiles will be placed in silos there, and another eight will go to missile field 2. 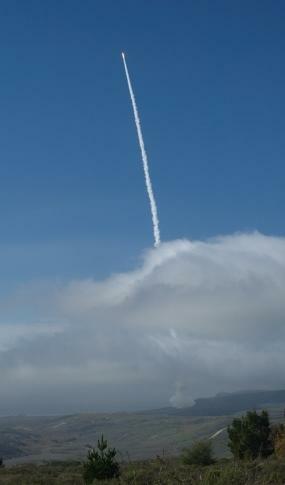 A Ground-based Midcourse Defense interceptor like those at Greely streaks into the sky above the Vandenberg Air Force Base, Calif., GMD facility last year during a test flight. Felling says Murkowski and others believe Greely’s missile base should be expanded even more. He says the senator sees that as more practical than a competing proposal to build another missile-defense base in the northeastern United States at an estimated cost of $3.6 billion. “It would be far cheaper to add or make some upgrades at Greely than it would to buy real estate in New England and build something brand new, from scratch,” Felling said. But the performance of the ground-based interceptor system remain unproven. The interceptors have failed to knock out dummy enemy missiles in 8 of 16 tests, most recently in July. The 2014 defense budget would invest nearly $190 million for missile and radar upgrades to improve the ground-based system. Murkowski says further expansion at Greely may well hinge on the Pentagon’s ability to demonstrate the ground-based system works. So she says there’s a lot riding on the next test, scheduled for March. The commander of the Army National Guard unit that operates the missile-defense base at Fort Greely has been suspended over allegations of sexual misconduct in the unit – and accusations that the commander failed to address the problem. KUAC’s Tim Ellis reports.